Educational Care facilitated by Resonate equips teacher to share the love of Christ with their students in the classroom. Raua* had a difficult third-grade class and felt she was not a successful teacher. After participating in Educational Care training on preventive and corrective discipline, she developed an action plan to help students apply the fruit of the Spirit. She worked so well with the students who behaved badly that the principal asked her to be in charge of all of the discipline in the school! Even though schools were on strike, teachers showed up to Educational Care training bright and early! Ayouba* developed an action plan to help 10 students who were struggling academically to learn multiplication tables. While other teachers were on strike, he helped students near his home learn their times tables—he said the students were very encouraged and excited! 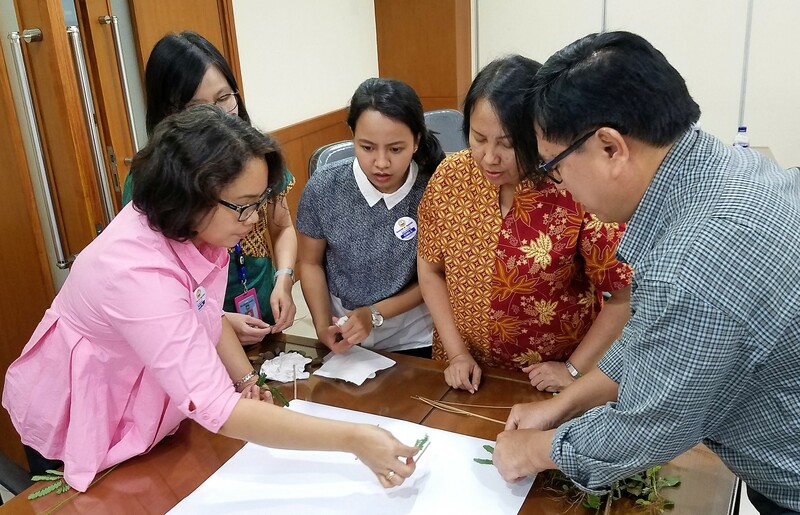 Teachers in Indonesia were used to viewing students as problems if they struggled with academics and behavior—but Educational Care showed these teachers that each student has God-given potential in the classroom and their community. Rina* reported that she discovered students have unique ways of learning, so she developed a plan to change her teaching methods. Now all of her students will have an opportunity to learn in the ways God created them to learn!